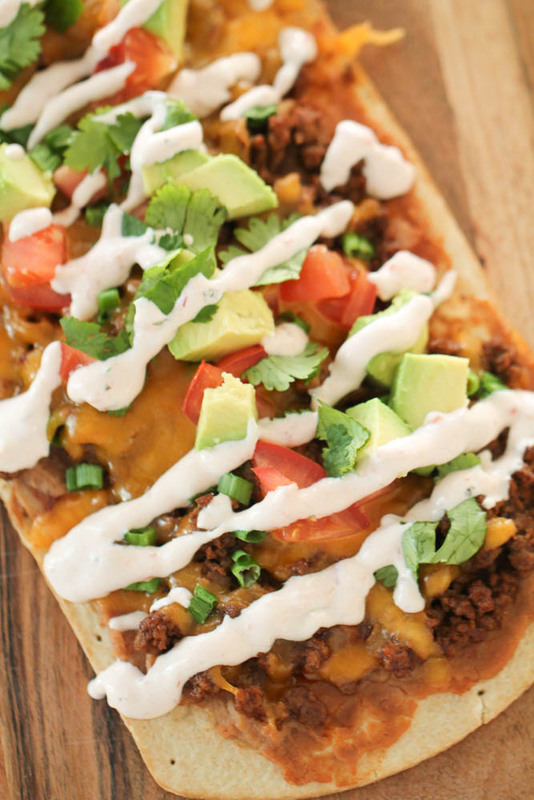 This Flatbread Mexican Pizza has a thin crust and is topped with refried beans, flavorful taco meat, cheese, tomatoes, onions, cilantro, avocado and creamy salsa for one tasty meal. 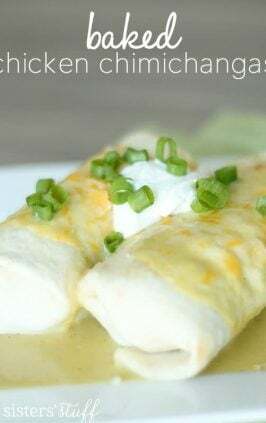 This is perfect to serve as a main dish or an appetizer and can be made in less than 30 minutes! My family loves having homemade pizza, but it can be a lot of work! 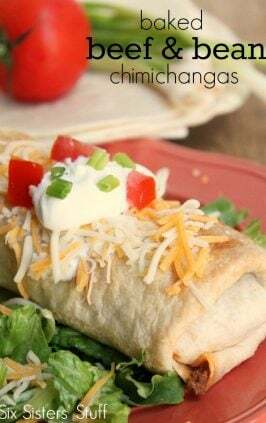 I thought I would combine our love for Mexican food with our love of pizza and make an easy recipe that tastes great and can be thrown together in a matter of minutes. 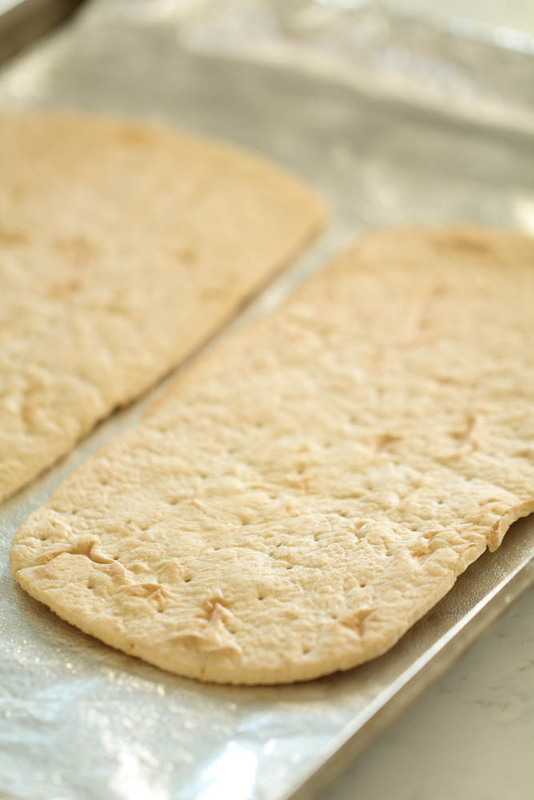 I love using pre-made flatbread pizza crusts when I’m short on time or don’t want to worry about making homemade pizza dough. Most flatbread pizza crusts come in packs of 4 so you can make a few small pizzas or use a larger pizza crust and make 1 or 2 larger pizzas. Just be sure to divide ingredients equally between each pizza. Step 1. In a skillet over medium-high heat, use a wood spoon or spatula to break up ground beef and cook for 7-10 minutes, or until browned. I love using this ChopStir tool when I’m browning meat because it breaks the meat up into really small pieces so it cooks quickly and evenly. 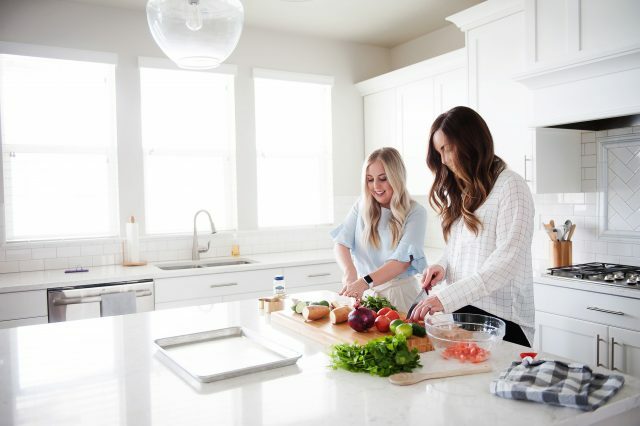 It is probably one of my most used kitchen tools! 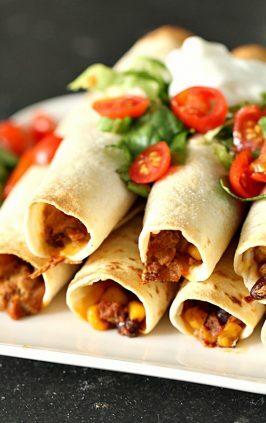 Drain excess grease and mix in taco seasoning; set aside. Step 2. Place pizza crusts on a baking sheet lined with foil and bake for 3 minutes at 350 degrees F, then remove from the oven. There are so many different brands of flatbreads, so you can select what you feel your family likes best. 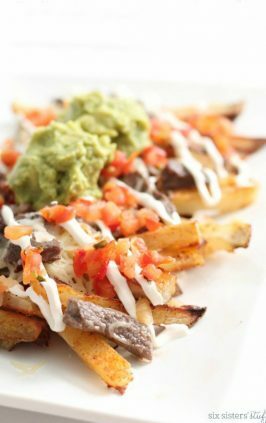 You could also substitute the flatbread for a pre-made thin pizza crust and it would be just as delicious! Step 3. 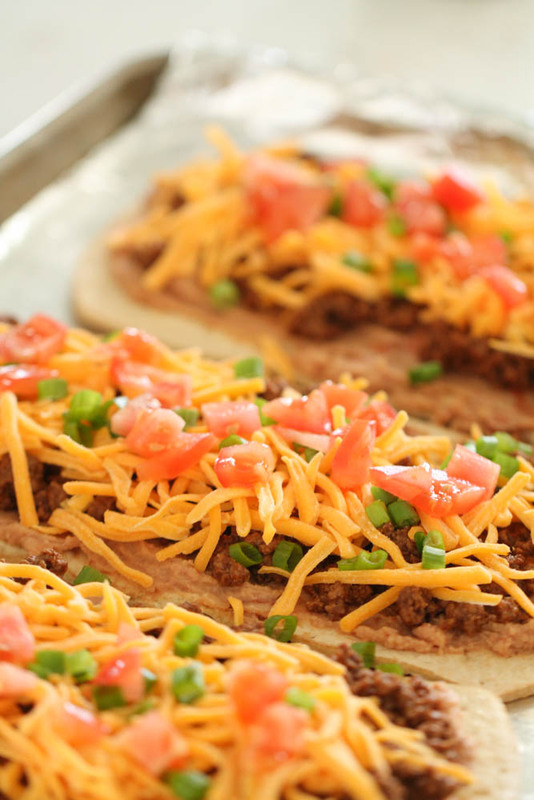 Spread equal amounts refried beans on each pizza crust. 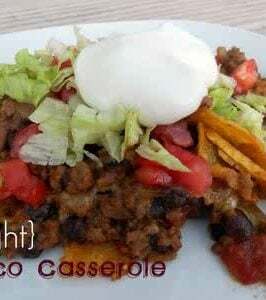 I just use canned refried beans, but if you really want to go the extra mile our Slow Cooker Refried Beans are SO GOOD. Step 4. Top each pizza with equal parts of the cooked ground beef, cheddar cheese, diced tomato, and diced onion. 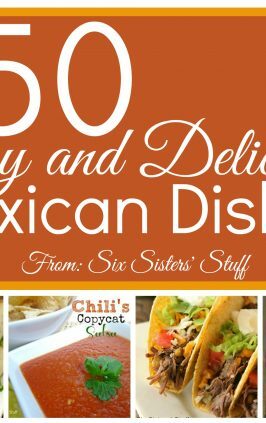 You can also add any other traditional taco toppings that your family enjoys. Step 5. Place back in the oven for 10 minutes, or until the cheese is melted and edges are golden brown. Step 6. Remove from oven and top each pizza with cilantro and avocado. Step 7. 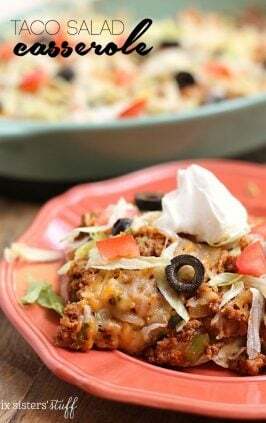 Whisk together salsa and sour cream and drizzle on top of the cooked pizza. Step 8. Cut into slices and serve. This Flatbread Mexican Pizza has a thin crust and is topped with refried beans, flavorful taco meat, cheese, tomatoes, onions, cilantro, avocado and creamy salsa for one tasty meal. 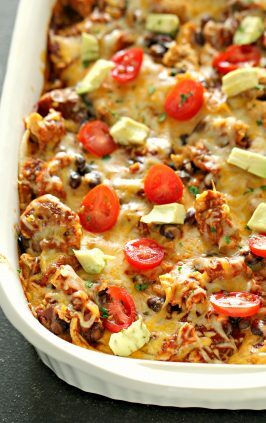 In a skillet over medium-high heat, use a wood spoon or spatula to break up ground beef and cook for 7-10 minutes, or until browned. Place pizza crusts on a baking sheet lined with foil and bake for 3 minutes, then remove from the oven. 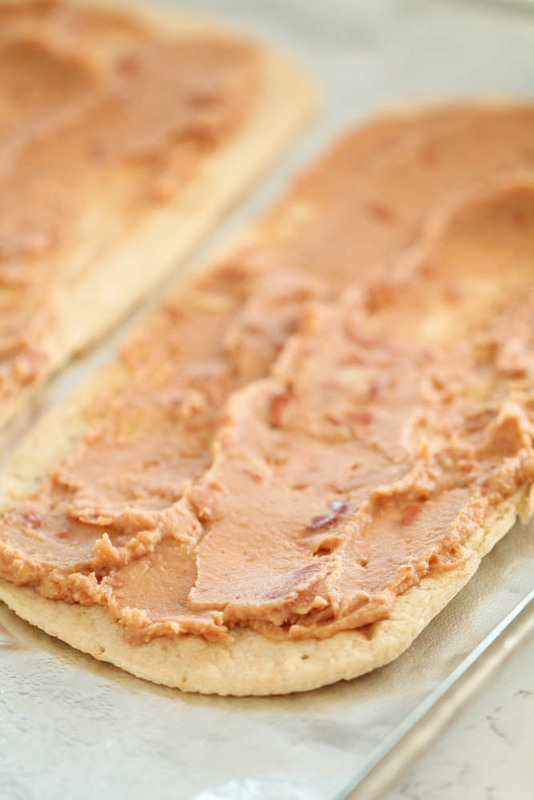 Spread equal amounts refried beans on each pizza crust. Top each pizza with equal parts of cooked ground beef, cheddar cheese, diced tomato, and diced onion. Place back in the oven for 10 minutes, or until the cheese is melted and edges are golden brown. Remove from oven and top each pizza with cilantro and avocado. 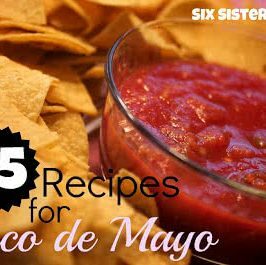 Whisk together salsa and sour cream and drizzle on top of the cooked pizza. Ooo! 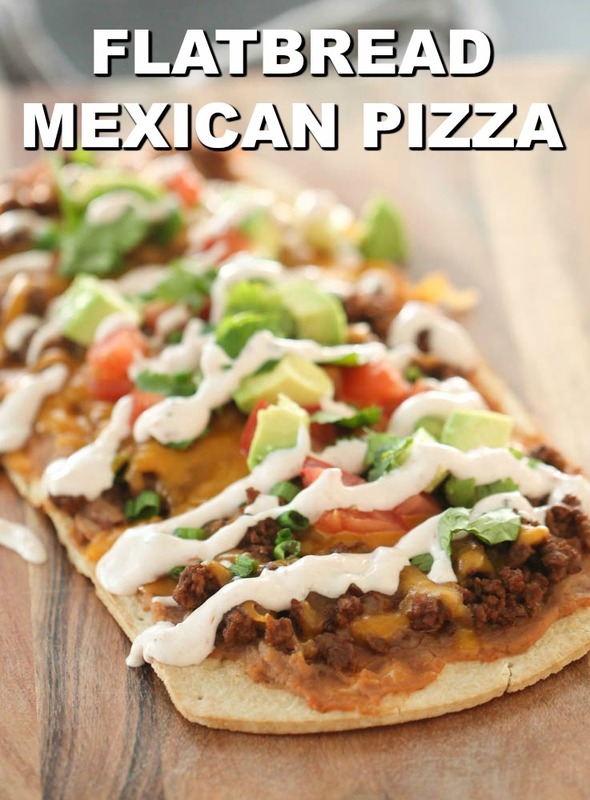 This looks really good - it's kind of like taco pizza, minus the doritos!